Join us at the Midwest Ice Arena in Dyer Indiana for a night of Pizza & Painting. 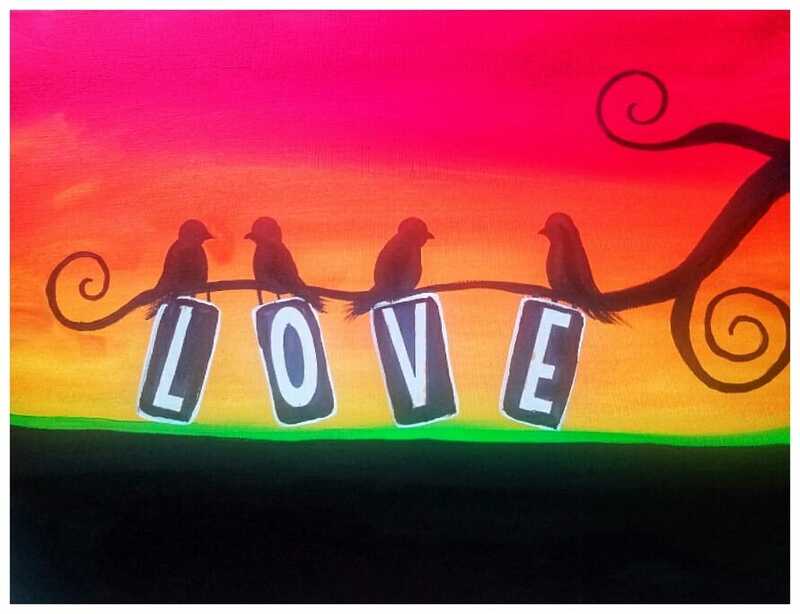 We will be painting “Love Birds” altogether in a step by step format. Pascal’s pizza is included in this fundraiser event pricing. This is an all ages fundraiser event to support the Midwest Ice Arena Childrens sports team. Tickets may be purchased here on website, directly at the Midwest Ice Arena or through Eventbrite.